With over 40 combined years of Architecture/ Interior Design experience, our team at MAWR Design does not just deliver a product, it operates on the principle that our clients buy-in to a relationship with our company, one which works as a partnership for the long term. We work fairly and equitably with our clients, contractors, and employees to promote mutual growth and the highest standards. Carolyn + Co is a boutique residential interior design firm, known for its light, airy coastal aesthetic. 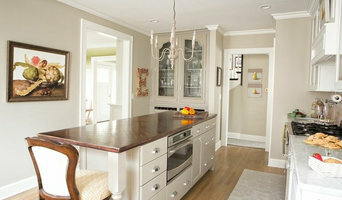 I love the challenge of designing new spaces, whether its new construction, remodel or simply an update. I will turn your home into a fresh new environment. Being sensitive to my clients lifestyle and personal taste and needs are my priority. Followed by a balance of color, lighting, texture in the selection of all the elements for a spectacular new space. For the past 15 years, I've been specializing in creating unique living spaces that reflect my client's personalities and lifestyle needs through a collaborative design process. I accept work on a full range of projects from new construction, full scale remodels to spaces that just need a light update while providing a fun and engaging design process and beautiful functional spaces. At Post Vintage Design LLC, we believe in merging your home's history, your personality, and the modern amenities of today. Building a new home or remodeling your current one? Let Post Vintage reduce the stress of interior design and decorating with consultations and advice on choosing everything from the floors to the chandeliers and everything between. Hello! 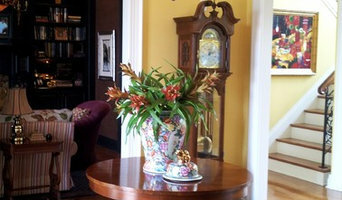 I'm Amanda, the sole proprietor and owner of Post Vintage Design, and I want to thank you for visiting my Houzz profile. My love for all things Interior Design and Architecture started when I was very young. I would rearrange my room and my parents always wondered how I could, or why I would, do that with solid wood furniture at only 8 years old. When I was a teen I would pick up residential floor plan magazines, instead of the typical teen magazine, and try and create my own floor plans. In high school, I took 4 years of Computer Aided Drafting alongside various art classes. It was only natural for me to continue in the field of Interior Design in college. Now, my intrigue of this field has only developed more and continues to grow every day. I have worked for a flooring company and fabric company in the past 3 years and have learned a lot from my employers and co-workers. I have made, and continue to make, some wonderful connections and relationships with local companies as well as independent contractors. 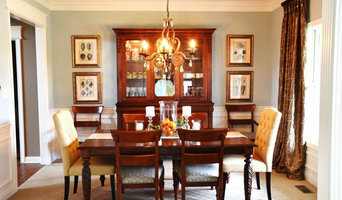 I look forward to helping you on your next Interior Design project! Happy Houzz-ing! NV Design was founded in 1980 by current principal Fred E. Reese. NV Design has based its success on the philosophy that every project, no matter how small or large, is important to our clients and us. We give equal attention to each so that we can ensure not only the customer’s satisfaction but also the pride we take in associating our name with the project. Although based in Muncie Indiana since its inception, the firm has completed major projects in eleven states. We take great pride that in cities such as Denver Colorado, Naples Florida or Chicago Illinois -- where there are countless talented designers -- NV Design was chosen by our clients to bring the personalized service we offer to their projects. While we agree that each project has a personality of it’s own, we approach them all with the same mindset. We listen to the client’s ideas and dreams and then take those concepts and develop them into something beyond their imaginations. A good designer can help encourage the client to think outside of the box and we take great pride in our ability to create unique and personalized spaces. 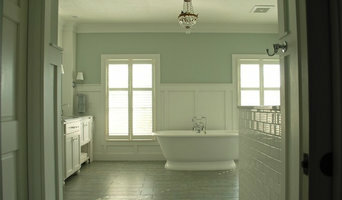 Full Service Interior Design firm specializing in dental offices, wine cellars, kitchens, and baths. With 20 years in the business, you can trust Clark's White Glove Delivery to provide you with the service that you deserve. Indianapolis 317.876.0801 Detroit 248.923.5100 Grand Rapids 616.773.2000 In Indianapolis, we operate six trucks out of our 60,000 square foot climate controlled warehouse with extensive storage capabilities. We have a team of more than 30 skilled employees that are dedicated to providing you with a luxury delivery experience. In 2015 in Metro Detroit, we opened a climate controlled warehouse that has already expanded twice to better serve our clients. At this 50,000 square foot location, we have a team of 25 eager employees and six trucks. This team has been continuously recognized for having exemplary service in the market. In 2016 we expanded to the west side of Michigan and opened a 15,000 square foot climate controlled warehouse in the Grand Rapids. Our newest venture has a team of 10 employees and two trucks to better service our Michigan clientele. Let us help with your next delivery and enjoy the peace of mind that comes from working with Clark’s White Glove Delivery. Contact us for more information regarding our services! I am a registered interior designer, #RID00436 and the owner of mWerks, inc. where we specialize in art, design & custom cabinets. artWerk + designWerk + millWerk = mWerks!